All shipments have a processing time of 24 hours for all web orders. This excludes weekends and U.S. holidays. However, we will try our best to ship orders out as quickly as we can. Our daily shipping cutoff time for all web orders is at 3PM Pacific Standard Time (PST). We process orders from 7:00AM - 3:30PM PST from Monday to Friday. No orders are processed on weekends and U.S holidays. Business Days are Monday through Friday, excluding weekends and holidays observed by the USPS and UPS. 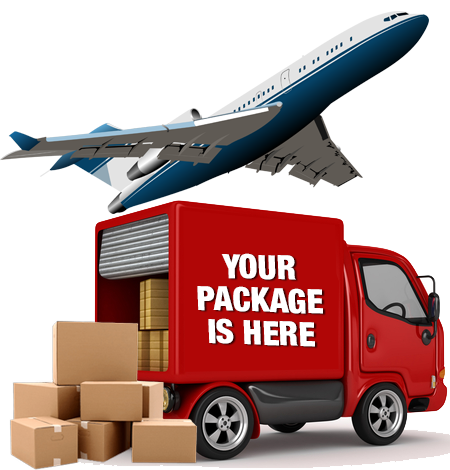 Once we processed and fulfilled your order, we will notify you thru email that your package has been shipped. From the email, you'll get confirmation and tracking number from either USPS or UPS shipping method the customer have chosen. UPS Shipping (US): When choosing UPS shipping, once the package leave our facility, normally the expected ETA to receive the item is from 1 to 5 business days depending on the area where you live. UPS Shipping (CANADA): When shipping to Canada, once the package leave our facility, normally the expected ETA to receive the item ranges from 5 to 7 business days. It is important to know that the end customer is importing the product, and will therefore likely have to pay duties/taxes. If the customer refuses to pay these duties/taxes at the time of delivery, they are responsible for the return shipping costs to have the order sent back to us. If we are forced to pay these costs, they will be deducted from the total refund back to the customer for the returned order.